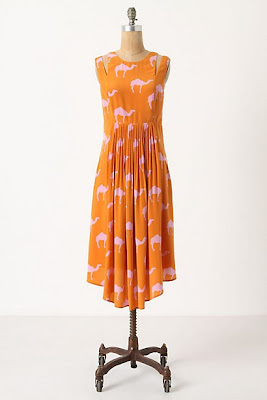 I was intrigued when I saw this bright camel print dress from Anthropologie this fall. Camels? On a dress? I liked the idea, but I was 99% sure I couldn't pull it off. 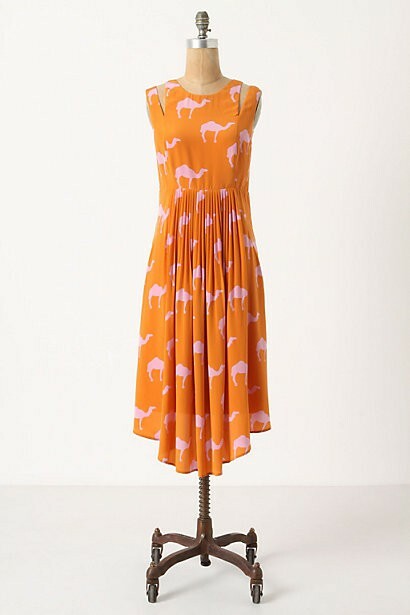 I just came across a much more wearable option for animal print, and it even includes camels! 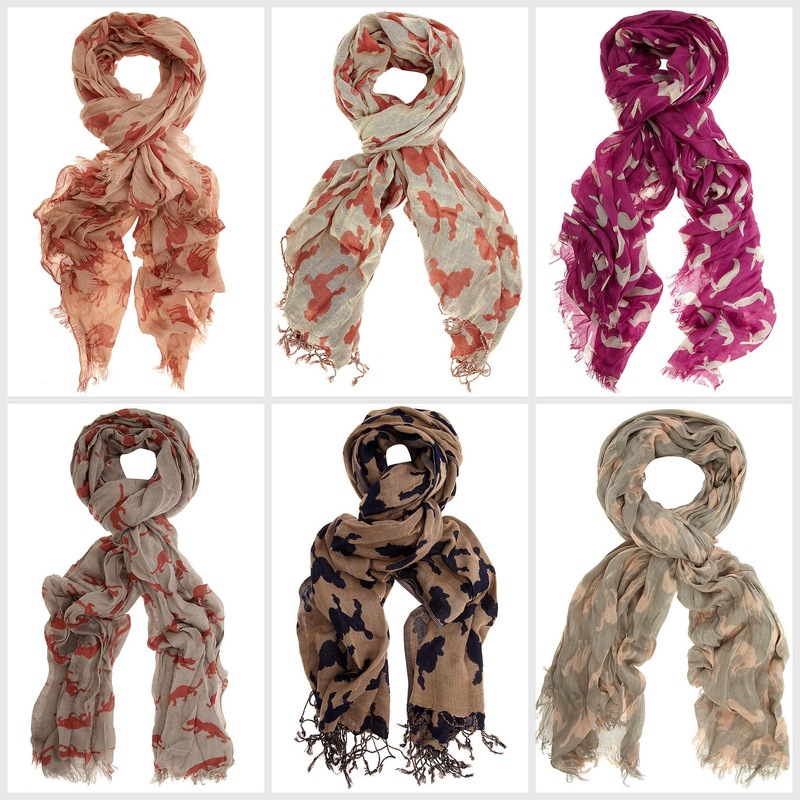 I think I'm going to try out the poodle and camel print scarves below from Dorothy Perkins. They even have toucans and cats if that floats your boat.